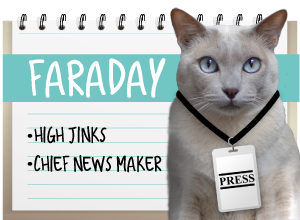 After reading and reviewing the book Julia's Cats last month, the lovely people who wrote Minette's Feast contacted us and asked if we'd like to read their book, too. 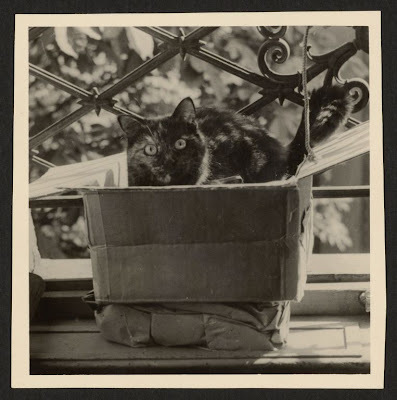 Minette was prominent in Julia's Cats as the "pouissiquette" who captured the hearts of Julia and Paul Child not long after they moved to Paris. Minette was fond of supervising Julia's work in the kitchen, riding on Julia's shoulder when dinner was carried with a flourish into the dining room, and playing endlessly with her favorite toy - a brussels sprout on a string. All of these moments are captured in Minette's Feast as well. Minette's Feast is a beautifully illustrated children's book, and its lyrical prose is a delight to read aloud. A favorite refrain of ours throughout the book was Minette's opinion that, really, "mouse and bird were much preferred." It would be a great addition to any child's library, and an absolute must-buy for all cat-loving foodie families. We loved the historical accuracy of this book, and how it portrayed Minette as a tortie who 'was not impressed' by Julia's cooking - at least not at first. In addition to endnotes, there is also a glossary and pronunciation guide for the French phrases that can't help but make their way into the narrative. And we were absolutely delighted to read that none of the dialog in the book was fictional. Every comment made by Julia and Paul are in their own words, quoted from letters they wrote. 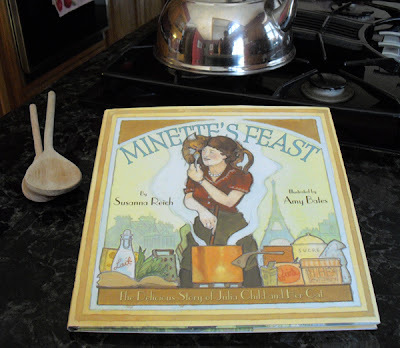 I asked author Susanna Reich what inspired her to write Minette's Feast. "I've been both a Julia Child fan and a cat lover since I was a kid," Susanna said, "and I met Julia when I designed the flowers for her 80th birthday party at the Rainbow Room in New York. "The idea for Minette's Feast came to me after I read her memoir, My Life In France.... These were the years during which she discovered her love of French food and studied at the famous cooking school, the Cordon Bleu. "Julia made special meals for their cat, Minette, and in return Minette would occasionally leave a mouse on the living room rug. "I imagined what it would be like for a cat to choose between Julia Child's leftovers and fresh mouse. 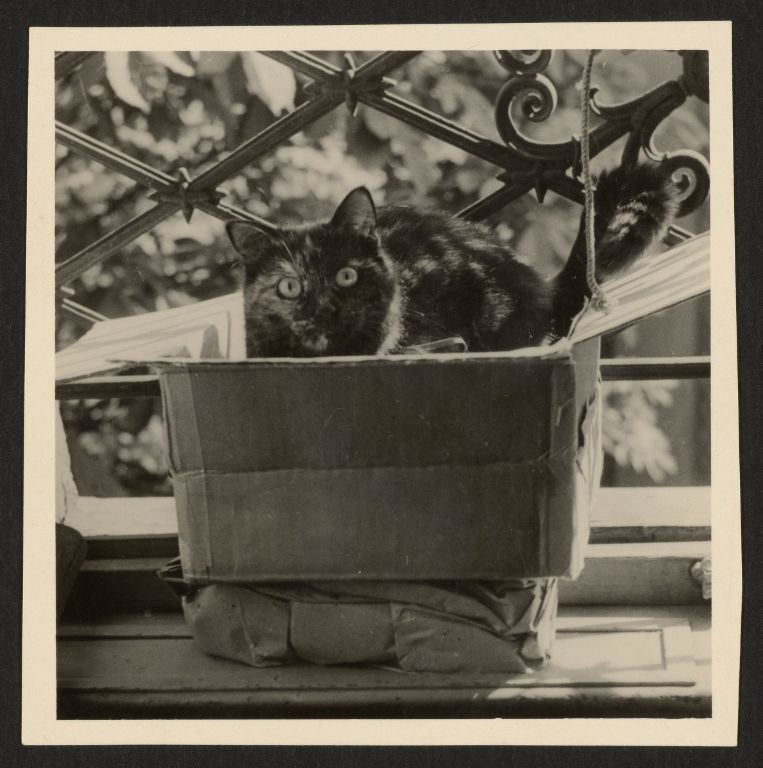 It struck me as a funny conceit, and a wonderful way to introduce kids to Julia, who had a deep affection for cats." We wondered if Susanna was a Cat Lady herself. Oh yes! "My own cat, Chloe, always sits next to me while I write." Susanna informed me. "In fact, she thinks Minette's Feast is her book. She's a skinny little thing, not a big eater. Maybe I should serve her boeuf bourguignon or coq au vin! Fortunately we don't have mice in the walls the way Julia and Paul did. 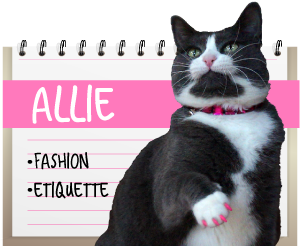 But Chloe does love to chase bugs on the deck." 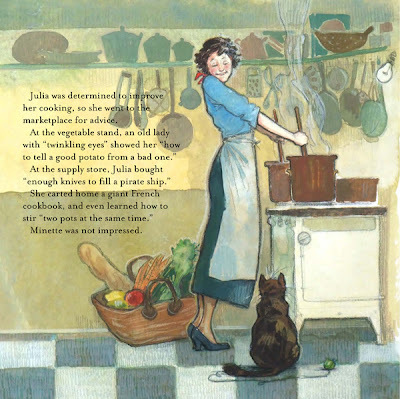 We highly recommend Minette's Feast: The Delicious Story of Julia Child and Her Cat. It would make a wonderful gift for the holidays - and they'll be here before you know it! And thanks to the generosity of author and illustrator Susanna Reich and Amy Bates, and their publisher AbramsBooks for Young Readers, one lucky reader will soon have a copy to call their own! The winner will be announced right here, two weeks from today. Gratuitous shot of Faraday - who, incidentally, approves of the book. FTC Disclaimer: We were given a copy of this book to review, but were not compensated in any way personally. All opinions are our own. Wonderful review, we love Julia here and think it's great that the quotes are Julia's and Paul's! The illustrations are pawsome too! Good review Amy. I wish I had a young person to give it to. 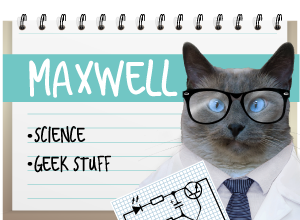 We think you gave a purrfect book review. Great review. Have a terrific Thursday. It is an absolutely beautiful book! I would LOVE to win/review this book! Looks like a wonderful book...and beautifully illustrated! Great review. I'd love to have this book. Great review. We'd love to have the book as well. What a pawsome book. It would make a great gift! Yes! Looks like a splendid book--and pretty pictures too!! Thank you for sharing it with us!! It sounds like a great book. Our mom loves to read, she even reads those inserts that come with prescriptions and the side panels of boxes! What a lovely book that must be! 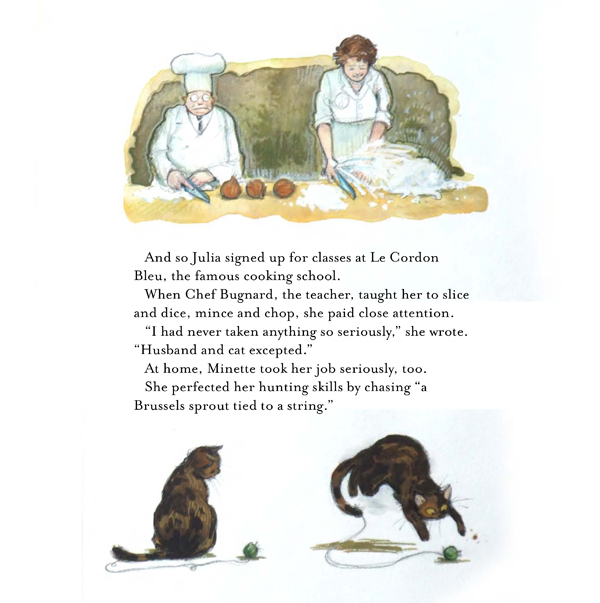 I can imagine how Minette was in the kitchen with Julia and as a tortie she would totally be into looking at what going on in the kitchen. 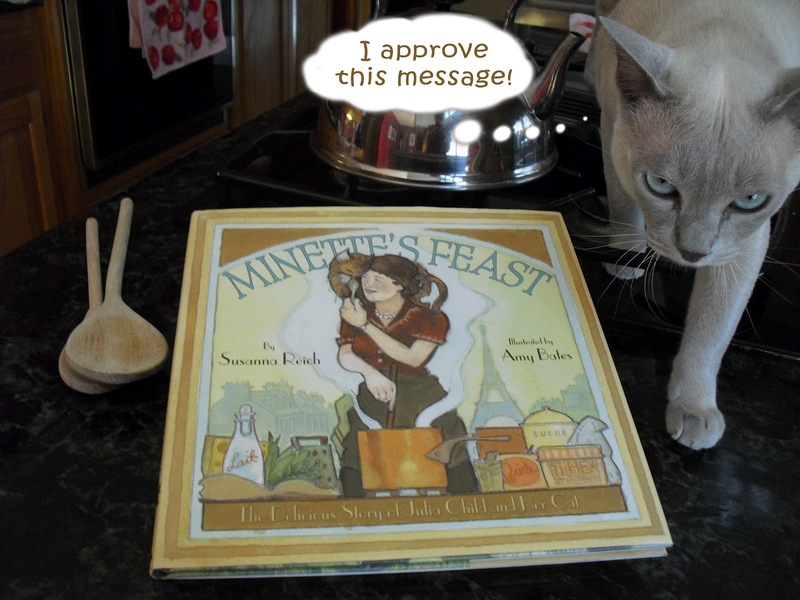 Minette's Feast is a lovely book indeed!